A beauteous dream painted in ice with robust strokes of vibrant colours and spectacular moves will come to life at the cocoon of luxury. At a press conference lleld at Hotel Sahara Star, Mr. Vivek Kumar, CEO Aamby Valley City along with versatile actress Sridevi, Mr. Boney Kapoor and Mr. Guy Ongley from the Deplidge International Production House, UK, announced the launch of `Aamby Valley Broadway Delights'. For the first time ever life's finest abode, Aamby Valley City will showcase the critically acclaimed Broadway shows Cirque de Glace and Snow White on Ice. The shows include a team of more than 20 international performers who will present an astonishing display of physical prowess coupled with grace and beauty on ice from 21st February 2013 until 17th April 2013 at independent India's first planned Hill City, Aamby Valley. A magnificent vision on ice, Cirque de Glace brings to life the story of the creation of our planet, man's evolution and a journey to the limits of technology as a stunning ice spectacular. Combining dazzling ice dance from the internationally renowned Russian Ice Stars with the world of cirque, made famous by Cirque du Soleil, Cirque de Glace is truly ,a magical spectacle. Evolution promises a thrilling, breathtaking experience filled with music, colour, incredible costumes and jaw-dropping acrobatics to give an evening of pure entertainment that's out of this world. In this glorious performance the brilliant Russian Ice Stars combine with the magical world of cirque in an eclectic mix of spectacle and ice dance that is guaranteed to dazzle, thrill and entertain all ages. With Snow White on Ice the world famous Russian Ice Stars will take you on a magical journey to the heart of the best-loved fairy-tale of all time. The original story of an enchanted mirror, a beautiful girl, the ultimate Prince Charming and a shiny red apple comes to life on ice, with ballet, gymnastics and aerial aerobatics to create a breath taking and mesmerizing experience. Speaking at the press conference Mr. Vivek Kumar, CEO Aamby Valley City and Hotel Sahara Star said, "Aamby Valley City was created with the aim to provide our customers with luxuries at par with international standards. We constantly strive to bring International experiences to India by associating with world class events. With the introduction of Aamby Valley Broadway Delights we want to present our guests with a Broadway experience closer to home. Cirque de Glaceancl Snow White on Ice are marvelous spectacles on ice that are a beautiful mix of music, costumes, jaw dropping acrobats and awe-inspiring performances. We are extremely pleased to associate with internationally acclaimed Broadways of this stature and to present India with a unique experience." Speaking at the press conference Mr. Guy Ongley from the Deplidge International Production House, UK„ "We are extremely thrilled to present Cirque de Glace and Snow White on Ice at Aamby Valley City. Nestled amidst a picturesque setting, the city provides a breathtaking setting for the shows. The backdrop will surely enhance the Broadway experience for the guests and we look forward to a spectacular at this luxe cocoon." A thrilled Sridevi, speaking at the press conference said, "Cirque de Glace and Snow White on Ice have been very well received internationally and I am looking forward to watching the performances at life's finest abode, Aamby Valley City. I am grateful to Aamby Valley City for promoting the arts in India and associating with internationally acclaimed shows of this stature. Broadway performances have been a major attraction in cities around the world and through Aamby Valley City people in India finally have a chance to experience this art." Speaking at the press conference Mr. Boney Kapoor said, "I am extremely happy that Aamby Valley City is introducing India to International acclaimed Broadway productions such as Cirque-de Glace and Snow White in Ice. Both the productions have received fabulous reviews overseas and I am looking forward to a spectacular show at Aamby Valley." Amazing choreography, breathtaking stunts, truly awe-inspiring sets coupled with grandiose lighting and special effects will find the audiences gripped and gasping at every twist of the beautiful storytelling at the picturesque Aamby Valley City. Get ready to discover a show like never before with Cirque de Glace and Snow White on Ice exclusively at Aamby Valley City. 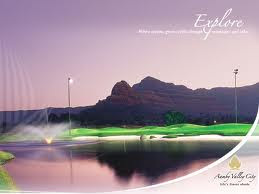 Aamby Valley City is being developed as an integrated Hill City spread over an area of 10,600 acres . (4,294 hectares). It is positioned as a premium, self-contained city addressing the various socio­physical infrastructure requirements like school, hospital, captive utilities (power, water, telecommunications etc. ), shopping facilities, and recreational areas. The project envisages development of a gated community of high end villas, condominiums, an airport, an international school, a hospital, a 18 hole championship golf course, a town plaza, a community centre, hospitality services like hotel and resorts and a business district. Apart from this the City boasts of a well planned professional security systems, IT & Communication network, a well designed and modern Water treatment and Solid Waste & Sewerage Treatment Systems & Networks and a State of the Art Water treatment Plant. Aamby Valley City is located at a distance of 120 km from Mumbai, 90 km from Pune and lies 25 km off the town of Lonavala on the Mumbai Pune Expressway. Aamby Valley City is associated with: High Quality Living (Comfort, Convenience, Wellbeing and Leisure), Luxury and Spacious Homes, High Quality Recreational and Leisure facilities, Exclusivity, Social Status, Comprehensive and Well developed and maintained physical infrastructure, social infrastructure and support. Aamby Valley is conceived and executed to the scale and magnitude of the current day in order to provide a well differentiated and unique positioning of an "Exclusive Premium Gated City" and not being limited to a conventional real estate project. The luxurious quality and style of Aamby Valley life have redefined City living. This paradigm shift in lifestyle has been very well accepted and has also become the new benchmark. Cirque De Glace - Cirque De Glace brings to life the story of creation of our planet, man's evolution and a journey to the limits of technology as a stunning ice spectacular. This combines dazzling ice dance from the internationally renowned Russian Ice Stars with the world of Cirque. Cirque De Glace promises a thrilling breathtaking experience filled with music, color, incredible costumes and jaw dropping acrobatics to give us an evening of pure entertainment that's out of the world. Cirque De Glace has toured and has been receiving endless ovations from Hong Kong, Monte Carlo, Australia, New Zealand, Denmark, Germany, Cyprus and the list is endless. Snow White — A story tale heard by millions of people across the globe. What better way to enchant a story which is loved and adored by so many people from across the world talking different languages. Snow White is a classic story which will be performed by the world famous Russian Ice Stars that will take all of us to the heart of the best loved fairy tales of all times. The original story of an enchanted mirror, a beautiful girl, the ultimate prince charming and a shiny red apple comes to life on ice, with ballet, gymnastics and aerial acrobatics to create a breathtaking and mesmerizing experience.